Horace Leander HOLLINGSWORTH [Parents] was born on 23 Mar 1855 in , , Iowa. He died on 4 Mar 1937 in Of, , Gage, Nebraska. He was buried in Wymore Cemetery, , Gage, Nebraska. Horace married Emma L. MEYERS. Emma L. MEYERS was born on 29 Sep 1861 in Of, , Ohio. She died on 28 Nov 1934 in Of, Gage, Nebraska. She was buried in Wymore Cemetery, , Gage, Nebraska. Emma married Horace Leander HOLLINGSWORTH. F i Nettie HOLLINGSWORTH was born on 16 Nov 1881. She died in Sep 1964. F ii Claudie HOLLINGSWORTH was born in Mar 1883. She died in 1978. Minnie HOLLINGSWORTH was born in Sep 1889. She died on 11 Sep 1889. She was buried in Wymore Cemetery, , Gage, Nebraska. M iv Otto HOLLINGSWORTH was born in May 1894. Benjamin HOLLINGSWORTH was born in Nov 1896 in Wymore, Gage, Nebraska. He died about 1976. Edwin HOLLINGSWORTH was born in 1901. Alan JONES. Alan married Claudie HOLLINGSWORTH. Claudie HOLLINGSWORTH [Parents] was born in Mar 1883 in Of, , Iowa. She died in 1978 in Wymore, Gage, Nebraska. Claudie married Alan JONES. Humphrey ROBERTS [Parents] was born on 22 Jun 1887 in , Gage, Nebraska. He died on 28 Sep 1968 in Freemont, Nebraska. Humphrey married Nettie HOLLINGSWORTH. Nettie HOLLINGSWORTH [Parents] was born on 16 Nov 1881 in Wymore, Gage, Nebraska. She died in Sep 1964 in Freemont, Nebraska. Nettie married Humphrey ROBERTS. Donald Dale ROBERTS was born on 28 May 1911 in , , Nebraska. He died in 1992 in La Grande, Union, Oregon. Otto HOLLINGSWORTH [Parents] was born in May 1894 in Wymore, Gage, Nebraska. Paul HOLLINGSWORTH was born in 1918 in Canton, McPhearon, Kansas. Samuel HOLLINGSWORTH [Parents] was born on 2 Aug 1796 in New Castle, New Castle, Delaware. He died on 18 May 1864 in Pennsville, Morgan, Ohio. Samuel married Martha Emma HALL. Martha Emma HALL was born in 1843 in , , Ohio. She died in Liberty, Union, Ohio. Martha married Samuel HOLLINGSWORTH. Frank HOLLINGSWORTH was born in 1862 in Liberty, Union, Ohio. He died in , , Ohio. Charles HOLLINGSWORTH was born in 1864 in Liberty, Union, Ohio. He died on 20 Oct 1948 in , Los Angeles, California. Ervey J. DORRIS [Parents] was born on 29 Oct 1924 in McKinney, Collin, Texas. He died on 26 Feb 1980 in El Paso, El Paso, Texas. Ervey married Myra Marie WALLS about 1952. 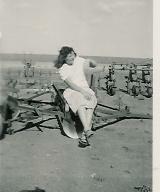 Myra Marie WALLS [Parents] was born on 14 Jul 1926 in Greenville, Hunt, Texas. She died on 21 Feb 1994 in El Paso, El Paso, Texas. Myra married Ervey J. DORRIS about 1952. F i Deborah Kay DORRIS was born on 1 Oct 1953. F ii Karen Jean DORRIS was born on 1 Jan 1957. William Barry DORRIS was born on 29 Apr 1960 in Columbus, Muscogee, Georgia. Capt. George Thomas RIDLEY was born on 11 Jan 1737 in Isle of Wight, Southampton, Virginia. He died on 29 Nov 1835 in Nashville, Davidson, Tennessee. George married Elizabeth Maria "Betsy" WEATHERFORD on 20 Sep 1761 in , , Virginia. Elizabeth Maria "Betsy" WEATHERFORD [Parents] was born in 1740 in James City, , Virginia. She died on 24 Nov 1776 in Watuga Settlement, , Tennessee. Elizabeth married Capt. George Thomas RIDLEY on 20 Sep 1761 in , , Virginia. Beverly RIDLEY was born on 23 Jul 1762 in , Hawkins, Tennssee. She died on 27 Oct 1844 in Williamson, Tennessee. George RIDLEY was born on 11 Jan 1764 in , Rutherford, Tennessee. He died before Jul 1793 in , Davison, Tennessee. John RIDLEY was born on 5 Jun 1765 in , , Tennessee. William RIDLEY was born on 2 Feb 1767 in , , Tennessee. He died in 1787 in , Halifax, Virgnia. Martha "Patsy" RIDLEY was born on 13 Mar 1770 in , Rutherford, Tennessee. F vi Elizabeth "Betsy" RIDLEY was born on 13 Feb 1772. She died on 26 Aug 1826. Sarah RIDLEY was born on 28 Nov 1773 in East, Davidson, Tennessee. She died in 1831. She was buried in Buchanan Cemetery, Davidson, Tennessee. Letitia "Lettie" RIDLEY was born on 24 Nov 1776 in , Hallifax, Virginia. She died after 1792. Thomas H. HOLLINGSWORTH [Parents] was born on 30 May 1857 in , Mississippi Territory. He died on 28 Sep 1924 in Statesboro, Bulloch, Georgia. He was buried on 29 Sep 1924 in Upper Mills Creek Primitive Baptist Church, Statesboro, Bulloch, Georgia. Thomas married Martha "Patsy" AKINS. Martha "Patsy" AKINS [Parents] was born on 29 Jan 1863 in Statesboro, Bulloch, Georgia. She died on 10 Sep 1930 in Statesboro, Bulloch, Georgia. She was buried on 11 Sep 1930 in , Bulloch, Georgia. Martha married Thomas H. HOLLINGSWORTH. F i Rosa Lee HOLLINGSWORTH was born on 23 Mar 1883. She died about Jun 1957. M ii James Erastus "EW" HOLLINGSWORTH was born on 11 Jan 1885. He died on 22 Dec 1935. M iii Ivy Leon HOLLINGSWORTH was born on 6 Dec 1886. He died on 10 Feb 1968. Charles W. HOLLINGSWORTH was born on 2 Mar 1889 in , Bulloch, Georgia. He died on 18 Feb 1934 in , Bulloch, Georgia. He was buried in Upper Mills Creek Primitive Baptis Church, Statesboro, Bulloch, Georgia. Jency "Jincy" HOLLINGSWORTH was born on 29 Mar 1890 in Blitch District, Bulloch, Georgia. Jency died in Feb 1919 in Blitch District, Bulloch, Georgia. Jency was buried in Upper Mills Creek Primitive Baptis Church, Statesboro, Bulloch, Georgia. Lily Estell HOLLINGSWORTH was born on 27 Jun 1895 in Statesboro, Bulloch, Georgia. She died on 29 Mar 1897. She was buried in Upper Mills Creek Primitive Baptis Church, Statesboro, Bulloch, Georgia. Andrew W. HOLLINGSWORTH was born on 21 Jun 1898 in , Bulloch, Georgia. He died on 1 Aug 1972 in , Bulloch, Georgia. He was buried in Middle Ground Cemetery, Statesboro, Georgia. John HOLLINGSWORTH [Parents] was born on 14 Jan 1818 in , Miami, Ohio. He died on 22 Feb 1843 in Center, Grant, Indiana. John married Lydia Lamb JONES on 23 Oct 1839 in Mississenewa Friends Mm, Grant, Indiana. Lydia Lamb JONES [Parents] was born on 11 Jun 1822 in , Wayne, Indiana. She died on 6 Feb 1911 in Fairmount, Grant, Indiana. She was buried in , Grant, Indiana. Lydia married John HOLLINGSWORTH on 23 Oct 1839 in Mississenewa Friends Mm, Grant, Indiana. F i Lucinda HOLLINGSWORTH was born on 10 Sep 1840. She died on 24 Mar 1902. John HOLLINGSWORTH was born in 1844.